Welcome to Diocese of Memphis Catholic Schools, where we prepare students for life. A Catholic education helps parents develop young people who lead by example, serve others and excel academically. Affordable tuition and financial assistance make it possible for any student to experience this development at our schools. It’s easy to visit one of our campuses or learn more about a school. We welcome you to learn more about the schools your family is interested by contacting each schools directly. In 2018, our graduates outperformed students nationally on every ACT test, and they were awarded more than $22.4 million in merit-based scholarships. Our small class size -which averages from 15 to 25 students – allows each teacher, faculty member and principal to provide a supportive atmosphere where the student feels valued as a part of the school family. Each student’s spiritual development is nurtured through a values-based education that follows the teachings of Christ. Students of all denominations and faiths are welcome, and each student has the opportunity to practice faith virtues through workship and service. In addition to daily religion classes, students may further their spiritual development through adoration, daily prayer and community service involvement. 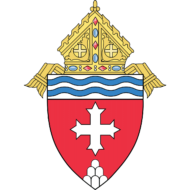 As a part of the mission of the Roman Catholic Church, the Diocese of Memphis in Tennessee Catholic School system is committed to preparing students to be courageous and faithful Disciples of Christ by providing a solid spiritual, intellectual, emotional and physical formation under the guidance of the Blessed Virgin Mary in union with the Roman Catholic Church. Our Catholic Schools System mission is rooted in the Magisterium of the Roman Catholic Church, Sacred Scripture, and Canonical Procedures and these drive all decisions. The ultimate purpose of our Catholic Schools System is education in the Catholic faith and the salvation of souls. The success of our Catholic Schools depends upon the commitment of all personnel to high quality standards and expectations along with modeling of Catholic virtues. Through high academic standards students develop a deep understanding of essential knowledge and skills cultivating their capacity to reason, problem solve, and produce quality work to better serve God and the community. As Catholic educators we see all of God’s children as unique and aim to meet the diverse needs of our students. The Mass, the sacraments, Catholic devotions, service, and prayer are essential to the faith formation provided by Catholic Education. Catholic schools recognize parents and families as the primary educators of their children therefore, effective collaboration and communication as partners in the education of their children is essential to the success of our Schools. A safe, supportive and nurturing learning environment promotes student achievement. The implementation of curriculum, design of instructional activities, and the use of assessments are focused on providing learning opportunities and feedback that support student achievement. The System, as an outreach of the Catholic Church, has an obligation to reach out to the community in the mission of evangelization, proclaiming the Good News of the Kingdom, and sharing the love of our Savior, Jesus Christ with all of God’s children. St. Ann Bartlett – LIFE Program Learning Individualized for Excellence (LIFE) Grades 1-8. The LIFE program at St. Ann School is offered in the areas of math and reading in conjunction with the regular classroom program. Instruction is given at a pace commensurate with the student’s ability. The program uses the same texts as the regular classroom. Multi-sensory approaches are used in small group settings. receive a recommendation from their teacher to remain in a gifted program. grade students are exempt if the student was in our program in the 7th grade). Contact St. Ann School Principal, Mr Didier Aur 901-373-1226 for more information. 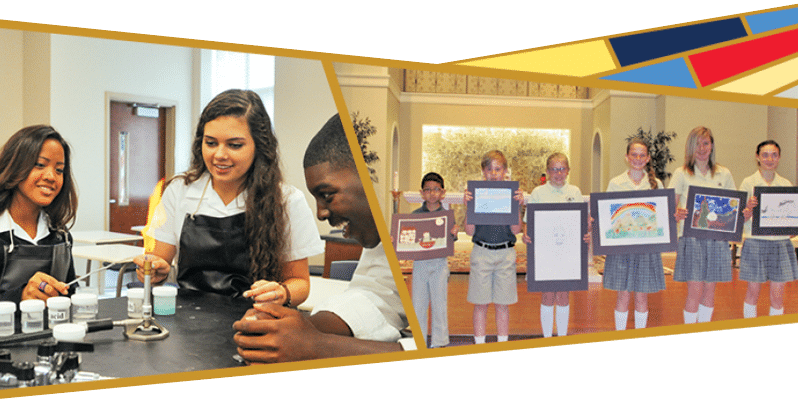 St. Benedict at Auberndale – PLUS Program The PLUS Program is a part of the St. Benedict college prep curriculum. The program serves students with a diagnosed learning disability and an average to above average intelligence in preparation for college. Acceptance to the PLUS Program is based on a psychological evaluation that is no more than three years old, previous school records, the high school placement test, interviews with the student and parents and in-house testing, if needed. The evaluation team reviews these documents, and recommendations are presented to the applicant’s parent. Placement in other special programs does not guarantee acceptance in St. Benedict’s PLUS Program. Students in SBA’s PLUS Program must follow and pass the curriculum mandated by the state of Tennessee in order to receive a high school diploma from St. Benedict. No IEP is written; however, a Profile is developed from the psychological testing that consists of the student’s strengths, weaknesses, accommodations and learning difficulty. The small teacher/pupil ratio, individual and classroom accommodations, parental support and positive teaching result in a strong work ethic and academic growth which instills confidence and builds selfesteem in our students. Accommodations recommended in the diagnostic testing which hinder the preparation for higher education may not be offered. For the forms required to complete and submit an application, please refer to the Admissions Process section. Please note the two additional items required for application to the PLUS Program. Contact Terry Dickens, 901-260-2840 for more information. Holy Rosary – Learning Lab. The Learning Lab program is offered to students experiencing significant academic difficulty. Learning Lab for grades K-4 is a supplemental class to enhance the regular classroom curriculum. The student meets with a certified Special Education teacher at least three times each week for Math and/or Language Arts. Mrs. Anne Gardino 901-685-1231 for more information. Holy Rosary Language-Based Learning. The Language Based Learning Program is designed to be like a “school within a school” for students with language based learning differences (dyslexia, dysgraphia, auditory processing.) Teacher-student ratios are 1:4 which allows for individualized instruction. Basic skill are taught through visual, auditory, tactile and kinesthetic methods based on the Orton-Gillingham approach. These students will still be integrated with all students in “specials” classes, lunch, recess, performances, school events, and athletics. St. Louis – Learning Lab. The Learning Lab program offers additional help to students in k-8 who need extra support in the areas of math and language arts. Using a multi-sensory approach within a small group setting, Learning Lab provides individualized instruction focusing mainly on in-class support. St. Francis of Assisi – PLUS Program. Positive Learning Utilizes Strategies (PLUS) Grades 2-8. By identifying and building upon strengths and instilling confidence, the PLUS program at St. Francis of Assisi Catholic School assists students who are experiencing difficulties in a traditional educational environment because of diagnosed learning disabilities or attention deficit disorders. The ultimate goal of the PLUS program is to prepare students to transition into the traditional academic setting by providing them with the appropriate skills to meet individual learning challenges. PLUS students, parents and teachers commit to a rigorous course of study requiring daily attendance, academic diligence and disciplined behavior. Enhance – The Enhance Program offers learning strategies and remediation to students in our traditional program who have been identified as having gaps in basic skills proficiency through our universal screening program, Easy CBM. This small group instruction takes place during the school day outside of core curriculum time. It is in addition to and in support of the traditional classroom curriculum. Contact PLUS Program Director, Mrs. Stephanie Jones 901-388-7321 for more information.